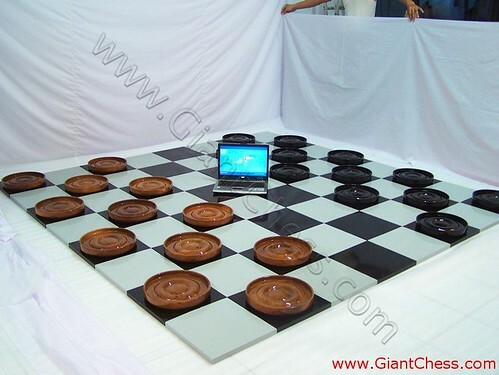 This kind of checker set and board are perfect for outdoor checker game. The checker pieces are big supported with its wide board. You just need flat space at your garden and arrange the board there. Then you can having an interesting checker game with your partner, family or your children. Although the checker pieces looks big and heavy, but those are very easy to move and easy to save. Those checker pieces and board are made from the best quality of Teak wood. They carved by our professional craftsman from Java island. You do not need worry about its quality because our products are very durable and polish well. The glossy checkers in black and brown, very attractive outdoor game in house, school, college, hotel, resort and another public place. Have it now!